A London-based sculptor has been chosen to create a new piece of artwork for an historic castle in Northumberland. Artist Fiona Curran has been selected by Kielder Water & Forest Park Development Trust to develop a temporary art commission at Kielder Castle visitor centre in Kielder Water & Forest Park. The Trust asked artists and architects across the country to send in proposals for the new piece of art, which will be located in the castle’s grounds and respond to the past, present and possible future uses of the Forestry Commission’s Grade II historic building. Fiona’s proposal will refer to the historic enclosure of the English countryside and she expects it to take the form of a series of sculptural ‘fences’ that enclose an area of the forest close to the castle. The dynamic young artist said: “I am delighted to have been selected for the commission at Kielder Castle and to be able to contribute to the art and architecture commissions that exist, or have previously taken place at Kielder. Kielder Art & Architecture Curator, Peter Sharpe, said: “We’re really pleased to be working with Fiona on this new commission for Kielder Castle. Fiona will begin work on the sculpture over the next few months and it is expected to be unveiled to visitors in spring next year. The new commission is part of a larger strategic project by Kielder Water & Forest Park Development Trust and Forestry Commission England, involving artists Heather & Ivan Morison and Mosedale Gillatt Architects. 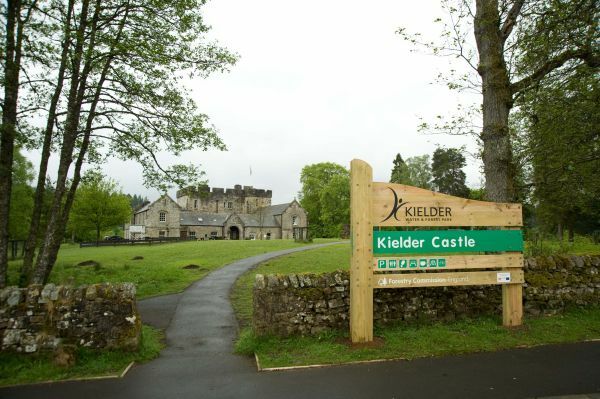 The project is currently exploring options for the long term future usage and identity of Kielder Castle and the wider western end of Kielder Water & Forest Park. Since 1999, more than 30 permanent and temporary works have been commissioned in the Park with several winning national architectural awards including the Stephen Lawrence Prize, four RIBA awards, three Civic Trust awards and the Northern Culture Award. Kielder Water & Forest Park has become the largest open air space in the UK to experience artworks, thanks to the award-winning Kielder Art & Architecture programme. A series of curator led arts tours, funded by the Arts Council England, mean visitors can now also venture by minibus off the beaten track to a selection of Kielder’s most iconic artworks. The next expedition will take place on Sunday October 25 from Kielder Castle at 1.00pm. For more information see www.kielderartandarchitecture.com.